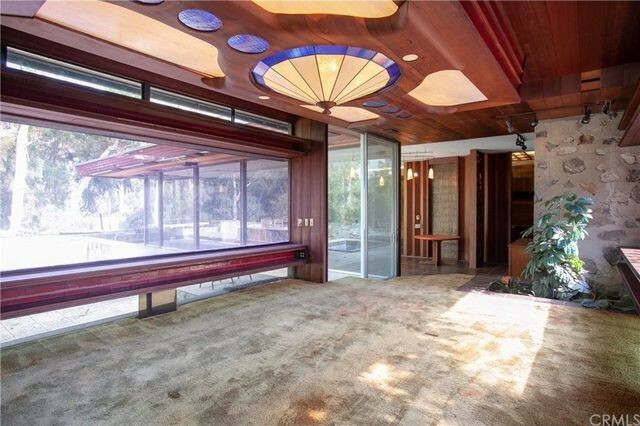 This awe-inspiring midcentury modern time capsule in La Verne, CA, was built by prominent architect Foster Rhodes Jackson, a student of Frank Lloyd Wright. 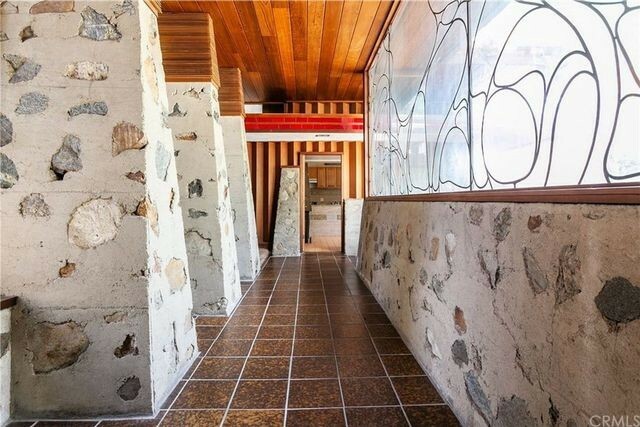 Now you can unearth all its scintillating secrets, because it’s currently on the market for $2.8 million. It’s easy to spot the home’s distinctive features as soon as you pull up to the house. Many of the walls are made of stone embedded in cement, and they vary in width and shape. 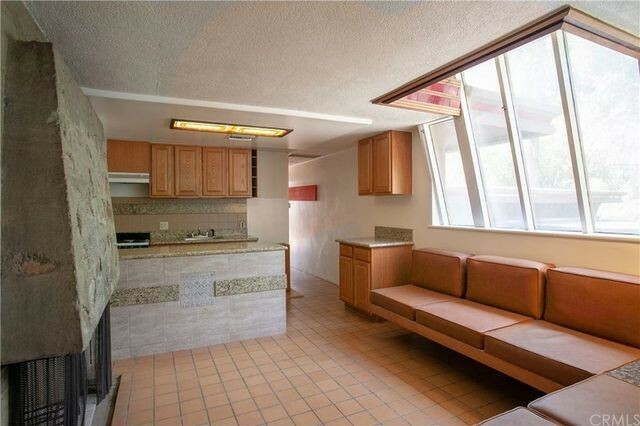 Benches, steps, mosaics, and planters are built into the walls. When you cross the parklike, 1.34-acre grounds and venture up to the house, you’ll notice the gorgeous stained and leaded glass widows. They were made by the noted local glass artist Mike Hill, who also created a few of the light fixtures and exquisite glass panels inside the home. 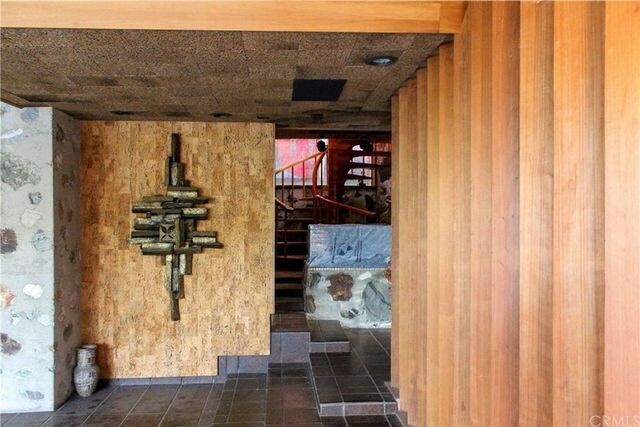 And once you step through the front door, you’ll also see woodwork by noted craftsman Sam Maloof. 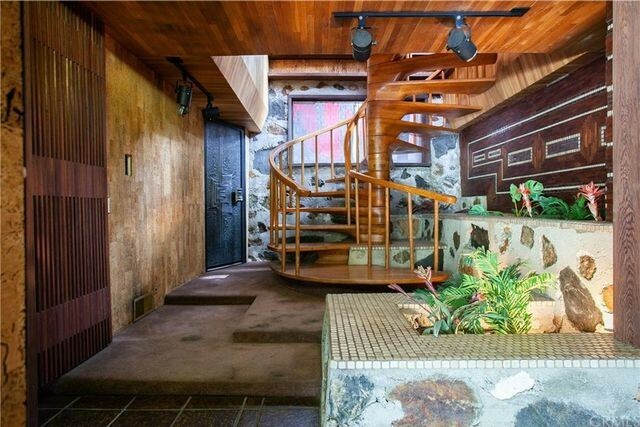 He crafted unique wall and ceiling paneling and built-ins throughout, and his spiral staircase is a true work of art. 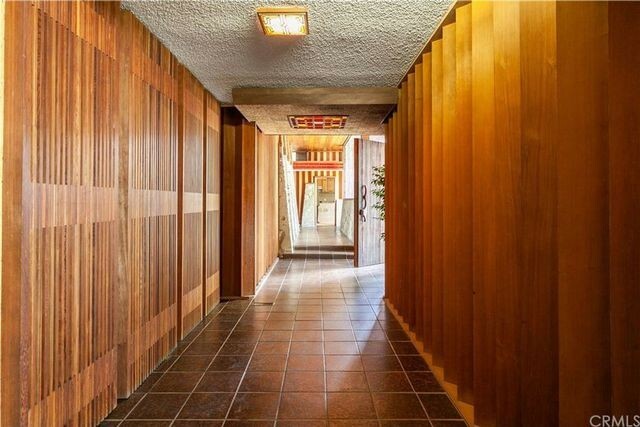 The geometric screens in the home will leave any mid-mod design lover swooning. 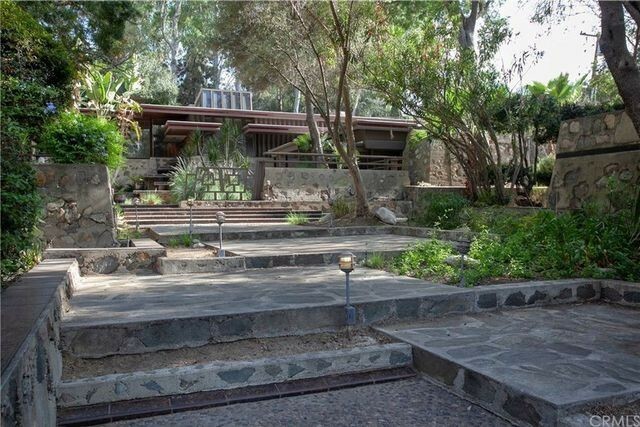 Listing agent Sarah Barron of Barron Real Estate told us that the home was built in 1963 for prominent Los Angeles-area attorney Herbert Hafif. The similarly designed Hafif Family Foundation compound—where concerts and cultural gatherings take place—is right across the road. 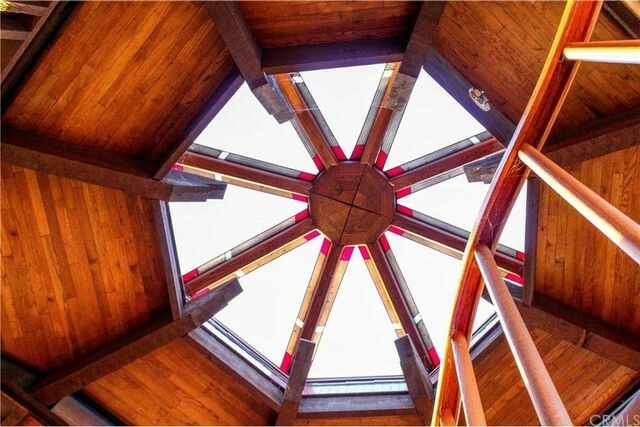 Hafif assembled a team of the best craftsmen in the area for this one-of-a-kind house. 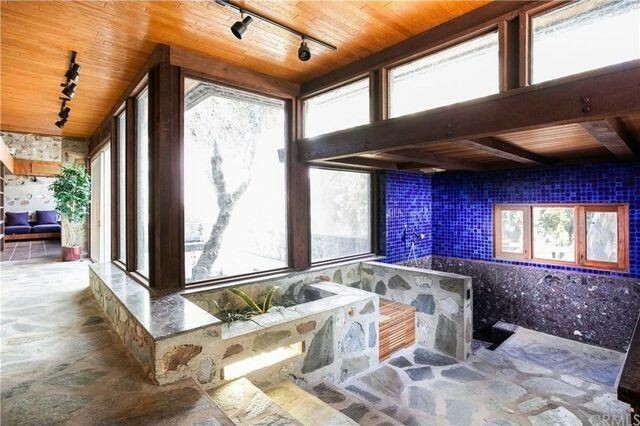 There’s even a spa off the dining room. Barron notes the many water and fire features throughout the house, with fireplaces in the bedroom suites, several of which have kitchenettes. 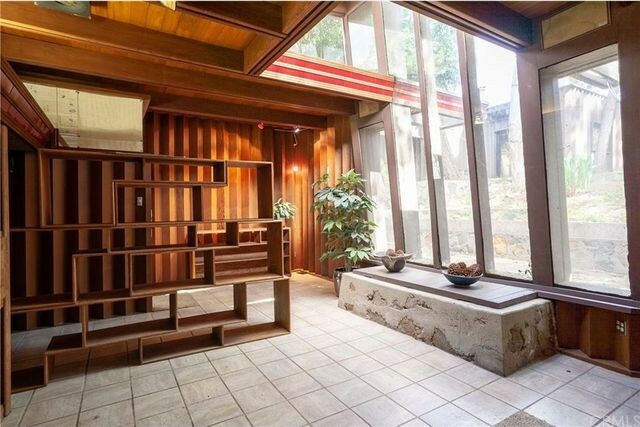 “There are so many interesting features,” says Barron, noting the unique cork paneling on some of the walls, the “ingenious skylights,” and private atriums. 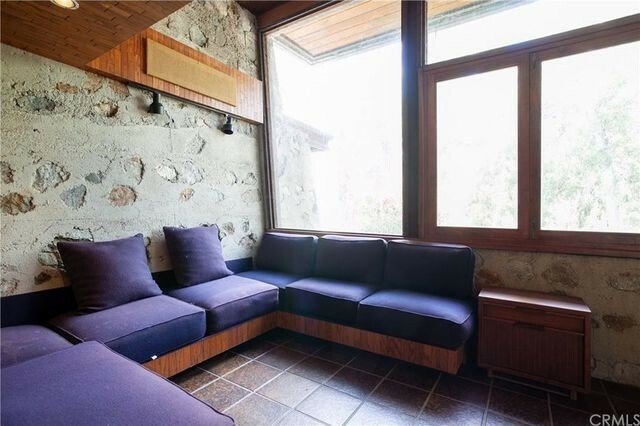 The agent also highlighted the floor-to-ceiling windows and glass sliding doors, which provide views of the hills from almost every part of the home. There are numerous built-in furniture pieces, including sofas, bed platforms, night tables, bookshelves, desks, lighted vanities, and cedar closets. The level of craftsmanship throughout is jaw-dropping. 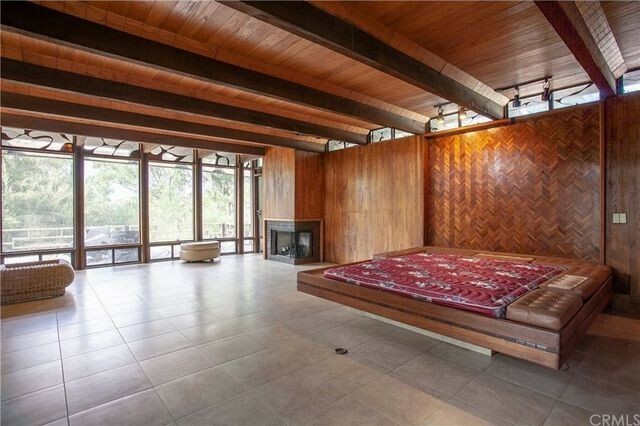 Master bedroom with leaded glass windows, fireplace, and built-in bed platform. Barron admits that the 7,000-square foot house “could use a little work.” She believes (and hopes!) a buyer will be a person who appreciates the artistry of the home and will restore it to its full glory.